Narvaez will fill an open spot at catcher left after the trade of Mike Zunino to the Rays. The Mariners acquired their starting catcher for the 2019 season and beyond on Friday morning in what was expected to be a busy day of transactions. While much of the baseball world is focused on the expected trade that would send Mariners second basemen Robinson Cano and closer Edwin Diaz — both All-Stars — to the Mets for a collection of players, Seattle attended to a glaring need for the upcoming season. The Mariners acquired catcher Omar Narvaez from the White Sox in exchange for right-handed set-up man Alex Colome. Narvaez, 26, posted a .275/.366/.429 slash line with 14 doubles, a triple, nine homers and 30 RBI in 97 games for the White Sox. He was worth 2.1 WAR per FanGraphs in 2018. The left-handed hitting catcher has a career .366 on-base percentage in 221 MLB games. He’s a candidate for a platoon role at the position. He’s got a career .285/.366/.392 slash line vs. right-handed pitching and a .222/.366/.315 slash line vs. left-handed pitchers. So his on-base percentage is not hindered by splits, which is a plus. From a defensive standpoint, he’s about average if not below average. Opposing scouts said he’s not a liability, but not close to the catcher he’s replacing — Mike Zunino. Narvaez is a bargain. He will make the league minimum in 2019 before entering three years of arbitration eligibility starting in 2020. Having traded Zunino to the Rays earlier in the offseason, the Mariners needed to fill an open spot at catcher. The only catcher they had on their 40-man roster was backup David Freitas. Seattle could still add another catcher, preferably a right-handed hitter, via free agency on a one-year contract or even on a minor league deal. There isn’t much in the way of depth in the organization since they allowed Chris Herrmann to be claimed off waivers by the Astros. 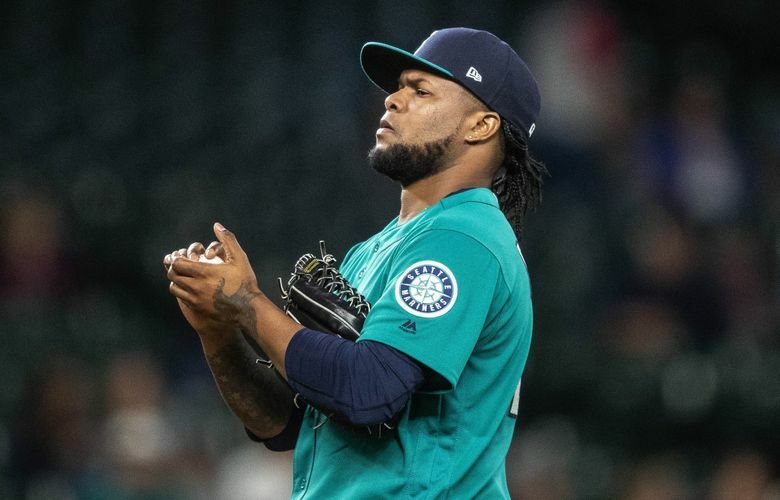 Since the Mariners are in step back mode, Colome was a likely trade candidate. There is no need for a high-leverage setup man making significant dollars, particularly when you are also trading your closer. Colome was solid in his role for Seattle after being acquired from the Rays on May 25 along with outfielder Denard Span. A closer with the Rays, Colome accepted his lesser role and flourished, posting a 5-0 record and one save with a 2.53 ERA in 47 appearances for Seattle. Colome made $5.3 million in 2018, but has two more years of club control. He was estimated to make more than $7 million next season in his second year of arbitration eligibility.